I read this article and found it very interesting, thought it might be something for you. 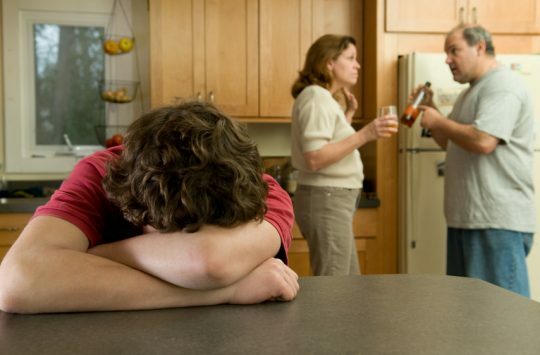 The article is called Parental drug, alcohol substance abuse affects kid’s growth: Study and is located at http://www.panasiabiz.com/9134/parental-drug-alcohol-substance-abuse-affects-kids-growth-study/. A recent study has revealed that children whose parents or caretakers who use or misuse alcohol or are involved in production or distribution of drugs have an elevated risk of medical or behavioral problems. Substance abuse by mother and father could hinder a child’s healthy development and places the kids under intense physical and mental problems. Elders who abuse alcohol or other drugs are usually involved in domestic violence, divorce, psychological ailments, and legal problems, etc. Such persons are depressed, have eating disorders, suffer from anxiety and prone to be suicidal. A report by experts of Beth Israel Medical Centre (BIDMC) and Boston Children’s Hospital concludes that alcohol misuse and substance abuse are very common in the country, and abuse by elders and caretakers can affect their reason and lead to inability in prioritizing their kid’s emotional and basic needs and providing a safe and caring environment. The report further adds that pediatricians should be able to assess the child’s risk and support the family to obtain help. Children in such a scenario, experience developmental and educational delays and are at a higher danger of developing mental and psychological problems. It is likely that kids in such a situation are more prone to follow their elders and themselves involve in substance abuse later in their life. Pediatricians must be alert and look for medical signs of neonatal abstinence syndrome (NAS), fibromyalgia, muscle stiffness, diarrhea, and seizures. All these are clinical signs of fetal exposure to alcohol, cannabis or other psychotropic substances. The studies reveal that young kids whose parents or caretakers use drugs and misuse alcohol are three times more likely to be neglected, and four times more prone to be physical, sexually and emotionally abused than other kids. Therefore the study has urged all pediatricians to check if the parents or caretakers are involved in substance abuse.